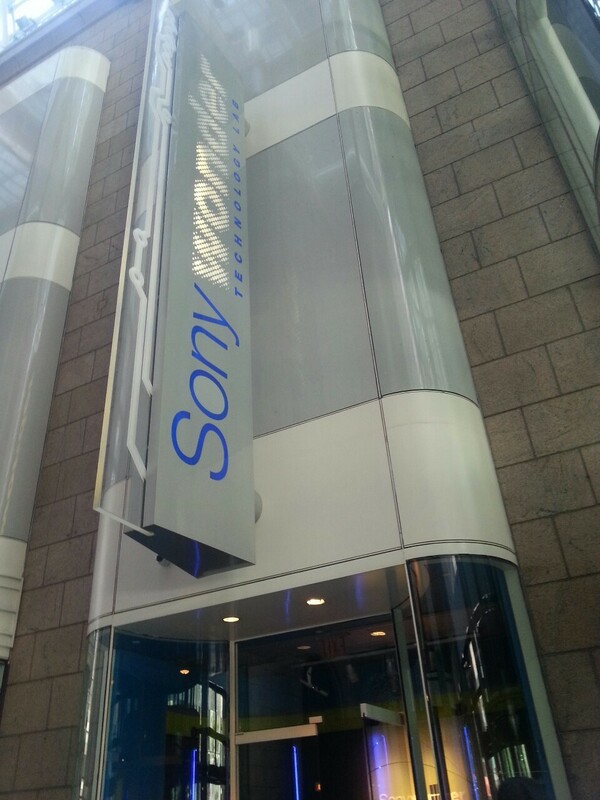 There is a store that sells Sony Products near the Lab. In order to go into the lab, you must get a ticket from the front desk. I thought that the Sony Lab would be a good place to bring small children, therefore I asked my friend and her little brother to accompany me. I decided to go on this trip on Saturday, My Friend, her mother and her brother accompanied me on this trip. After we waited on a line for around 2 minutest he staff led us into a lobby outside the elevator. The Staff gives us all a ‘identification card’ and starts intrusting us of the general rule of the building. There was no eating, gum chewing, or drinking beverages in the lab. We then took the elevator to the fourth floor. In the fourth floor, we are to make our profile on the card the staff had given to us earlier. To make this profile card, we stepped up to the machinery in the front. There we have to put in our name, our favorite color, our vocal range , our favorite color and our prefer genre of music. After WE had added all the information into our card we can then go into the lab. As I walked down the long aisle towards the lab. 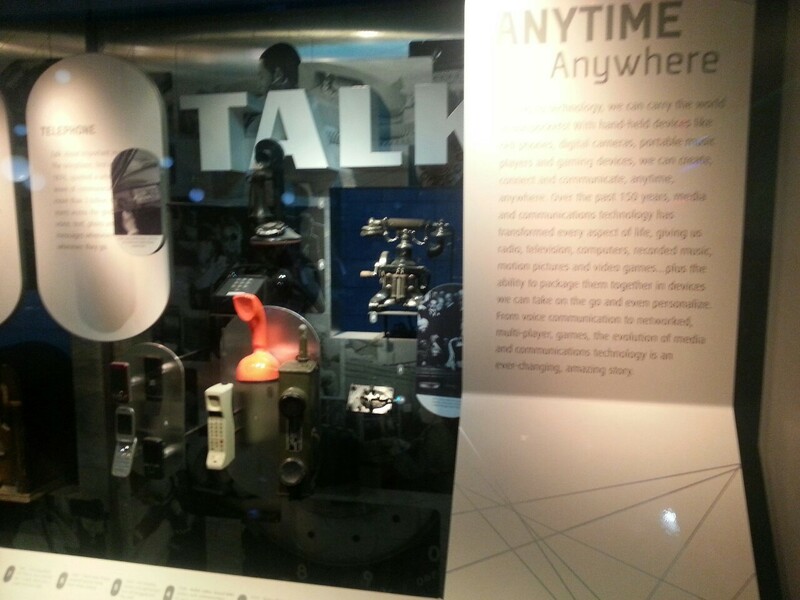 I saw three machinery that had a 3-d image of a cell phone, and a camera. It was the first time I saw 3-d models without using a 3-d glasses. It looked so real that you almost want to reach out. And when you did reach out, you will not be able to touch or feel anything. 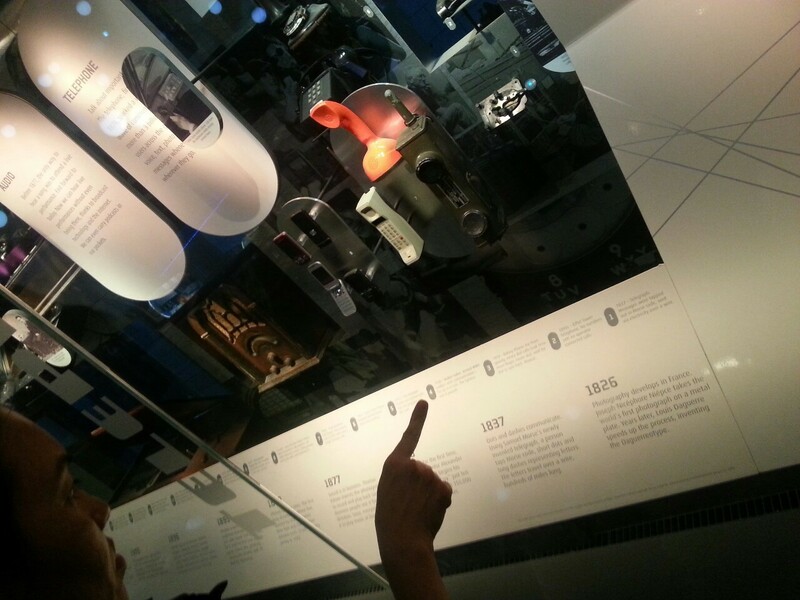 As we turned the corner, We are then introduced to a wall of the history of Technology. Inside the glass wall were the models of communication, from computer, to telephone, to radios. The time line started from the 1800’s all the way to 2007. This place was where I spent most of the time at, for all the models were very interesting and some even reminded me of the models I’ve seen when I was a young child, back in the late 1990’s. My friends mother went on to explain to me how she remember seeing a model of the Television. That indeed television back in the day are made very big and boxy, held within a wooden box. Television was considered very expensive back in the days, and not many people owned one. Today, everyone have a television at home. And most of the television that people own are rather flat, sleek and much more clear then the television back in the days. Compare to the images of the old times, we now are able to watch television in 780p to 1080p. 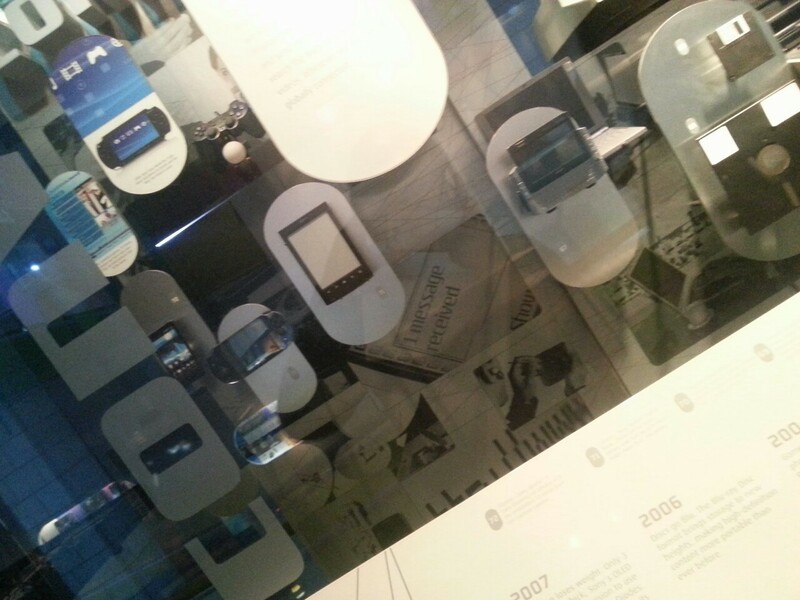 The glass wall also showed models of the old Nintendo DS and the models of old telephone. The telephone back in the days could be compared to a large brick and showed no caller Id. The wall was the most interesting part of the museum to me because of the history it provided. All the old models and the new models were like the evidence of my childhood to my present. After I finished looking at the wall, we entered where I consider the game zone. There was a dark area where the kids gathered to play a game in a single table. I remembered it to be lit with brightly colored lights, but because I thought it was a kids only zoned I moved on. 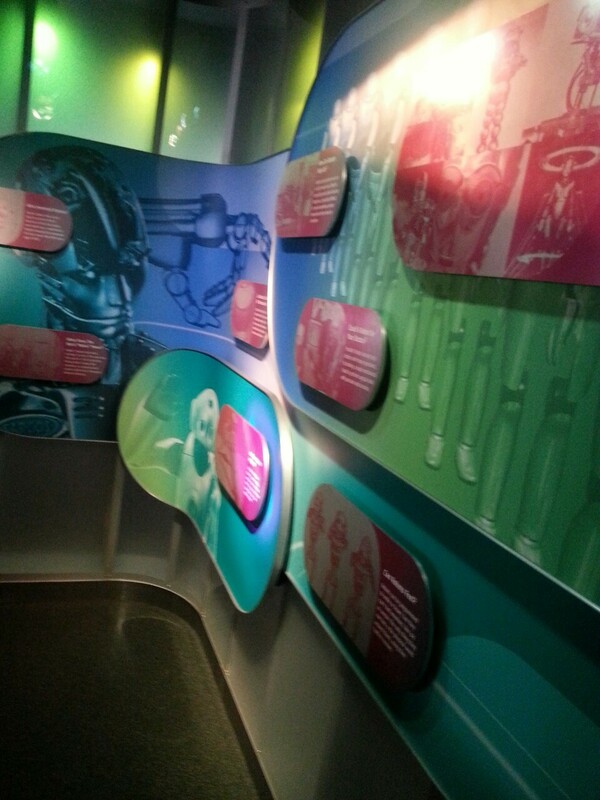 My friend and I stopped toward the ‘Nanotechnology Virtual Surgery Robot Zone’. This was the funniest experience of the day. My friend had to perform a heart surgery on the screen, and she had to hold onto a controller that was a round ball. Instructions on the screen will tell my friend what to do to save a patient from a heart transplant? The first thing my friend had to do was cut open the rib cage, and once the rib cage was cut open she must cut incisions into the vessels and the heart. The virtual machine was so realistic that every small movement my friend tried to make it will cause tiny cuts into the vessels. Since this was the first time my friend had ever used to control the game, she accidentally made a lot of cuts in the vessels. And like a real vessel, the vessel in the virtual screen started to bleed. I can’t help but laugh as my friend made to many incisions into the vessel, and watch the vessel bleed from all the cuts. My friend mother declared that the patient was dying from the loss of blood due to the many cuts. We then went to the third floor to experiment with the rest of the technologies available to the public. I thought the news casting room was very enjoyable as well. It gave me an ideas of what was really happening within the news scene. There is two screens on either side of the room, and there is two cameras in the front. The Camera are held into large white boxes with rollers in the bottom. I think the large white boxes are a way to secure the camera inside, and the wheels on the bottom made it easier to move around without causing to move shifting the image. In front of the camera there is a script, that tell the two hosts of what to say. The Newsroom looked very professional as it tells you when it is time to be on air. And when it is time to be on air, the dim light turns bright, as if you are really going to start to report the news! I think the most exciting part for everyone should be the programs area, and the in the game builder area. This is the area where there is a lot of games to play. There are the games for the play station 3 and the game for the play station 4. 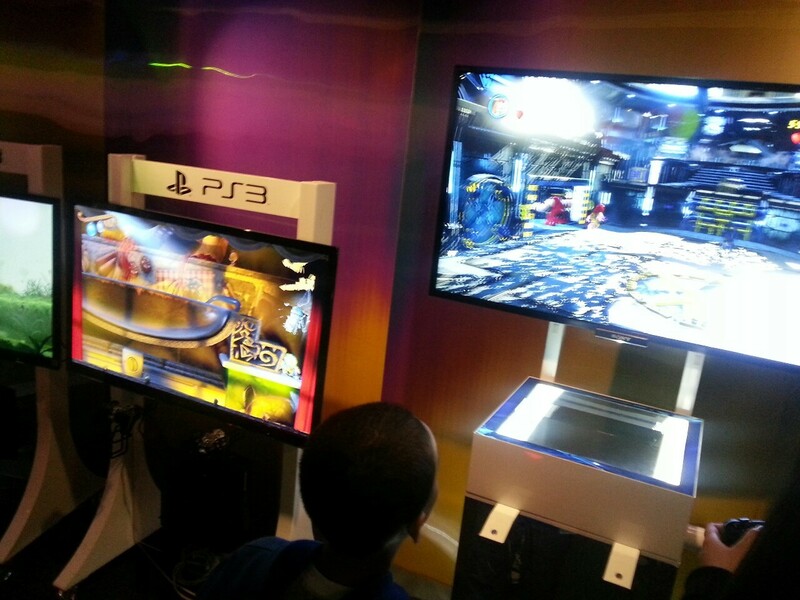 Each person had around 5 minutes to play their favorite games There were usually a line in back on the person playing. The last part of our adventure was the rainbow gem waterfall. This is where you walk up to a screen of falling gems and the gems will fall right on you. In a video, it looks surreal and I thought it was almost majestic with the effect it creates. I thought this was a really worthwhile trip, there was never a moment where you can really get bored. I was educational, and fun by turns. There was really a lot of hands on program. I was surprised at how efficient everything was. From the long lines, to the fact that you can finish a game with nobody nagging you to hurry. I thought with all the free games,t here would be some sort of chaos. But everything happened in a very orderly fashion, everyone got to have fun. The mother’s saw the history in which technology evolved, their eyes literally lit with excitement when they saw the gadgets from their generation, the kids loved the play station,and the teenagers loved the virtual surgery and rainbows gems falling. I chose to take a trip to one of the most popular music venue in Greenwich Village called Cafe Wha. Also, this is where I work over the weekends. While I was training to be a manager, I remember them teaching me about all the different task I had to do; one of the task that I had to do that I thought was so hard and took a couple messing up to get, is turning everything on in the sound booth. Here is a video of me going through everything in the booth. In the video you will see me pointing to something called the Rack, the tall thing, which is the main power for everything. It turns on the mixing board, speakers, amps and everything else on stage. Also, you will see the guitar players amps on stage. These amps are located right behind them while they are performing. While in the booth the sound-man and I spoke about a couple things. The first thing he said to me was that sound is all about signal flow. Audio Signal Flow is the path an audio signal takes from the source to the output. Also, during this path it includes all the processes involved in generating audible sound from electronic impulses or recorded media. The next thing we spoke about is the Analog Console, also known as the Mixing Board. This is where the audio signals are sent into various outputs. The board allows the audio signals to be controlled, split and filtered. This is the central piece of equipment in a recording studio or live sound venue like in this case. In the process of the Signal Flow Chain there has to be a microphone line. This line is directly where the audible sound is sent to the Mixing Board. Microphones as we know from sound class, work as a transducer and converts the audio into an electrical current. While in the sound-booth I heard one of the guitar players say into the mic, “Chris more reverb!”. Then I saw Chris hand reach for the Aux section on the mixer and began turning knobs. The Auxiliary Send provides a space for plug-ins to be activated. The plug-ins send the audio signals here and this is where he is able to do special effects on the singers voice such as reverb, delay or a loud distortion on the lead guitar’s riff. Moving down the mixing board he also showed me the Fader, this is where you see knobs going from the left to the right of the board. This is where the sound-man plays around with the volume of all the instruments until there is satisfaction with how each performer is heard. I was a little confused about the Sub buttons and what they are for but I did a little research and what I have learned is that sub groups are assigned, this is a way to adjust sound levels easier, and to explain more on this, a group of microphone lines can be synchronized together so that only one knob controls them all. For example, the drums has microphones that are close to every drum and can be very hard to adjust each drum head individually. Also, in my video above, I showed the guitar-players amps on stage which also had microphones set up in front of them. This helps make the sound clearer and easier for the sound-man to manage sound levels from the booth. Here is a video that I thought was helpful. This makes you see a mixing board in a simple way. Also, helps explain somethings you might of wanted to learn more about. The second video goes into detail about how equipments are connected and explains how the audio signal is being sent to the mixing board. Overall, this trip was very helpful for me to have an idea of the Job of a sound engineer. It is truly a tough job because you have to understand everything on the mixing board to be able to make sure that the musicians are satisfied and the sound is perfect for the show. One thing about live music is when there is a mess-up its happening right in front of the audience and its the sound-man’s responsibility to fix it. Other responsibilities are having to make sure all the XLR cords are connected into the right inputs to make sure signals don’t get messed up. Moreover, labeling is very helpful so that the sound-man could remember which knob is for what. Finally, this job also has to deal with keen hearing or should I say close listening; have to be able to hear feedback during performances and getting rid of it. Also, know when to use special effects on singers voices or guitar riffs. Below are pictures I took of the mixing board. I have circled areas on the board that I was talking about above, and a couple pictures of the musicians on stage. 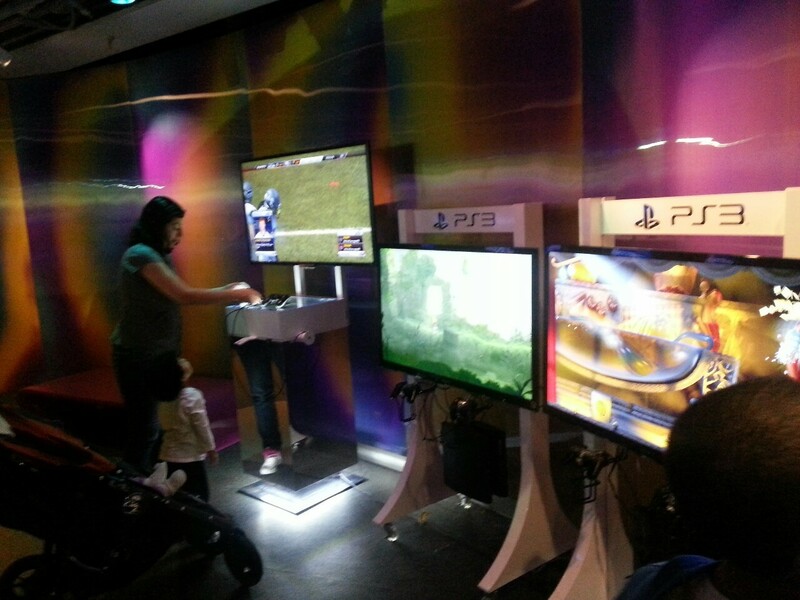 At the Sony Wonder Technology Lab, there’s lots of different exhibits which you are able to explore. 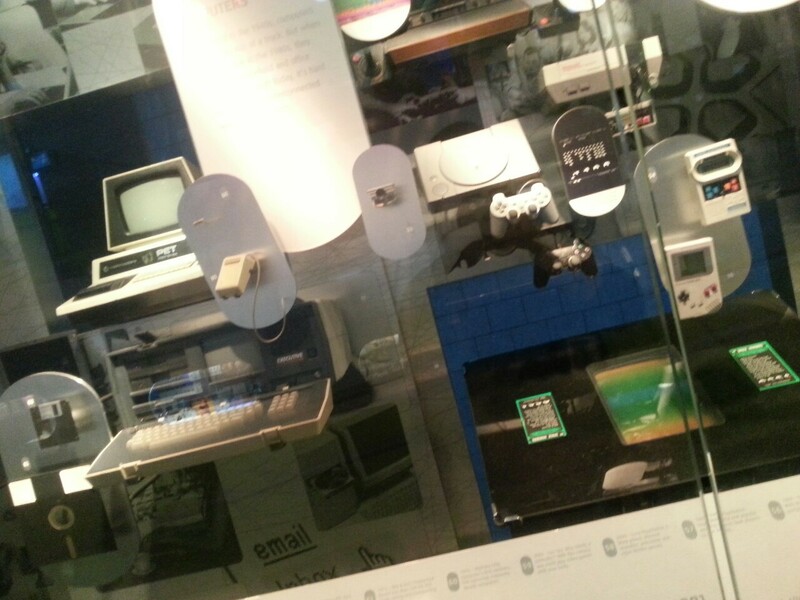 This museum includes different activities which teaches you about the different ways in which technology works. It gives a hands on experience for its’ visitors so that they too can be able to bring their ideas to life! 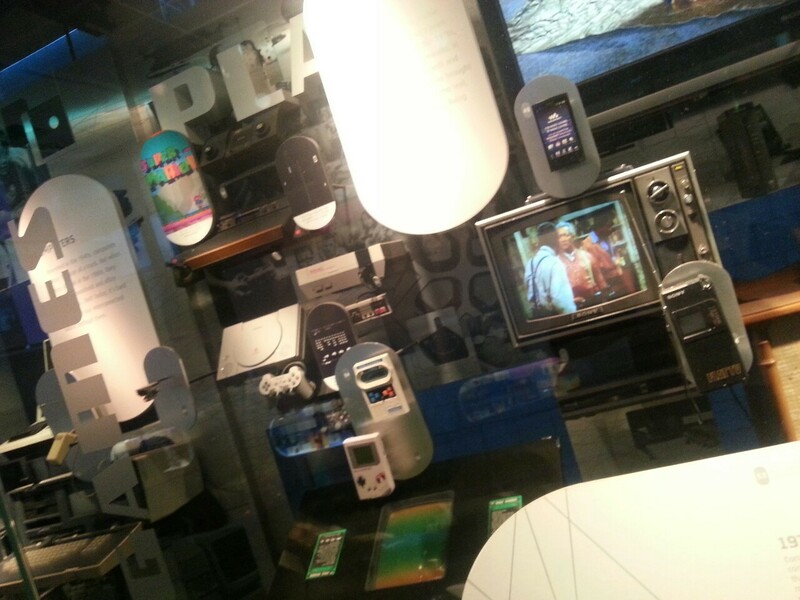 The Sony Wonder Technology Lab was opened on May 25, 1994. 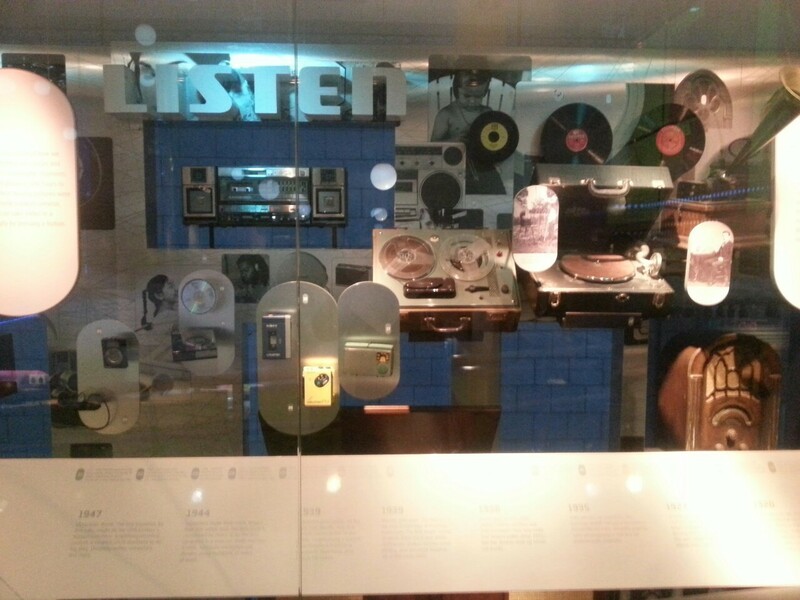 This museum is operated as well as funded by the Sony Corporation of America. 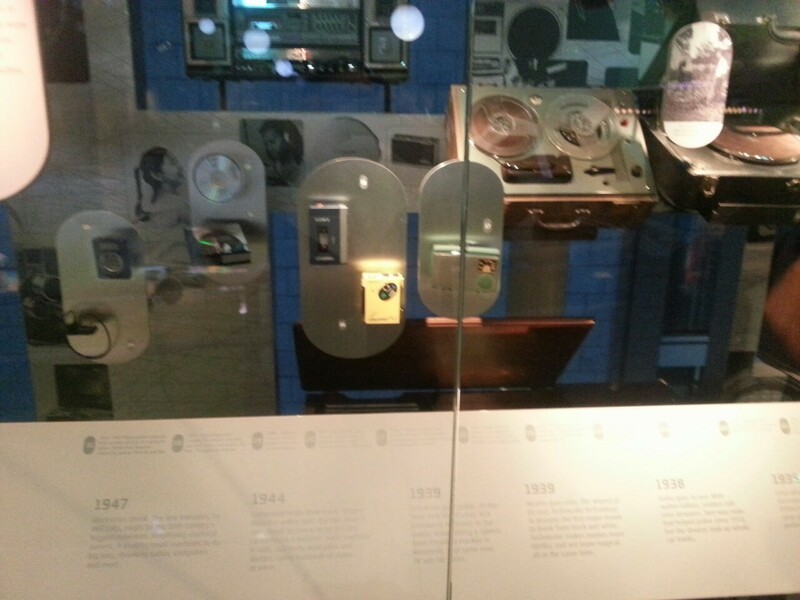 At this time, the museum was mostly focused primarily on Communications Technology. 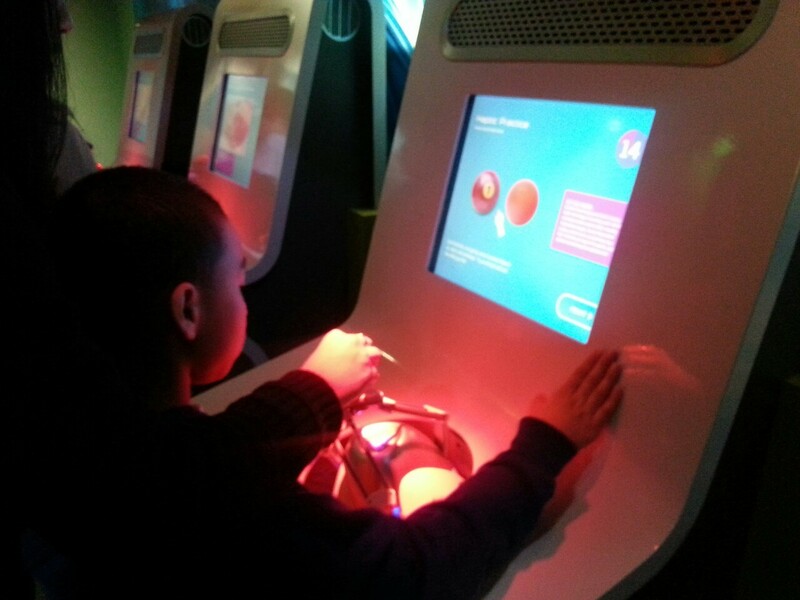 This allowed the visitors to learn more about electronics devices and how they worked. However, by October of 2003, the museum expanded including more exhibits on music, movies and even games. By October 2008, the SWTL introduced 14 new exhibits. This expansion gave the museum a better name. Not only was it about technology, but also entertainment. Today, this museum carries many different exhibits in which its visitors can partake in. Not only is it filled with lots of fun and excitement, but it’s also really educational. For this assignment, I decided to go to the music mixing section. At this station, I was given the opportunity to create my own different mix to a song sang by Alicia Keys. In June 2011, the lab opened up a new exhibit known as the Music Mixer. At this exhibit, the visitors are interactive with a virtual version of Grammy winner, Alicia Keys. She gives a little clip from her song, “Empire State of Mind” and allows the participants to put their own little mix to it. For this activity, I was allowed to choose from a variety of instrument tracks from different genres which included Hip-Hop, Latin and much more! After choosing the genre, we was given the option of how high or low we wanted the range to be. After selecting your new “add on” you simply dragged it out into the song so that you can hear your mix in the song. This was a fun activity because it shows you all of the different ways that people mix music and the many different options they usually have to choose from. When making a song, it includes lots of thinking and creativity just to get the song how you imagined it to sound like. I really enjoyed this activity because I learned a lot. The most important thing that I learned however was to LISTEN CLOSELY. Sometimes I had problems in the activity because I wasn’t able to listen to what kind of sounds I was making. It made it extra difficult because I wasn’t the only one there. There were 5 other people also making their own twist to the song and adding it into the song. We had to work together as a team in order to make a fantastic mix, however our mix at the end sounded kind of jumbled up. Aside from this situation, the activity was lots of fun and gave me an incite of what it’s like being a music producer and even a DJ! 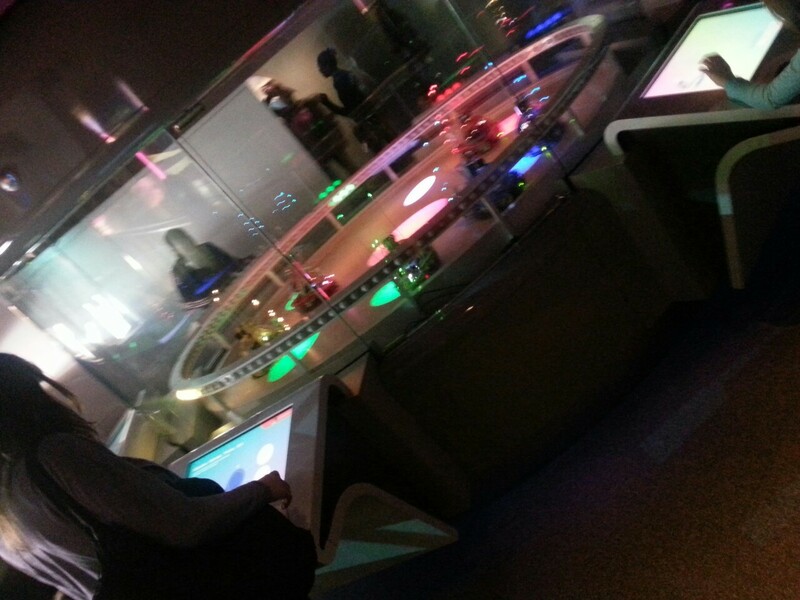 I would love to visit the Sony Wonder Technology Lab again soon! 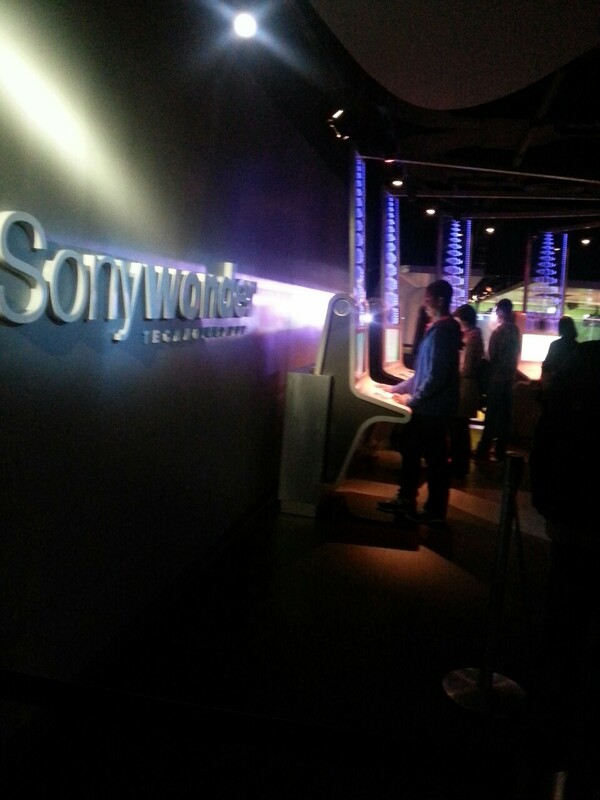 For my field trip assignment, I decided to attend Sony Wonder Technology Lab. 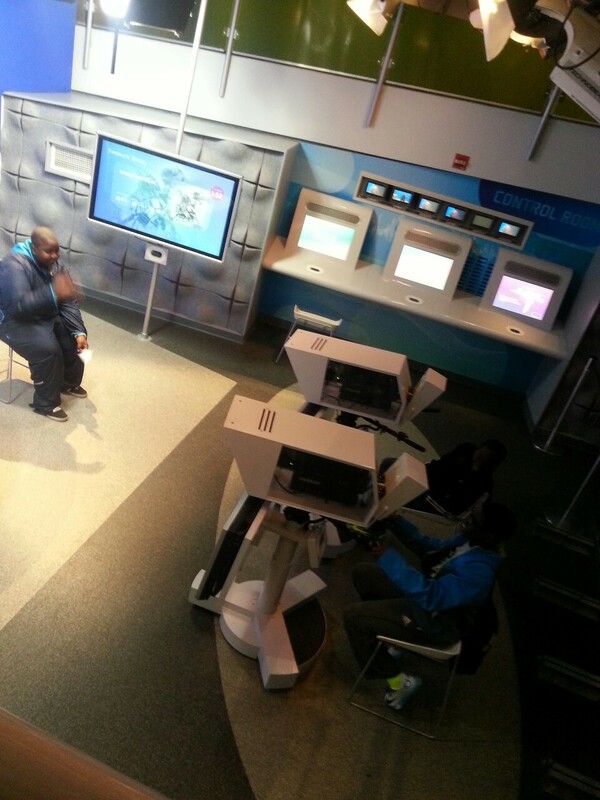 The Sony Wonder Technology Lab is an amazing museum filled with TONS of incredible activities to be involved in. This museum is free for all ages. 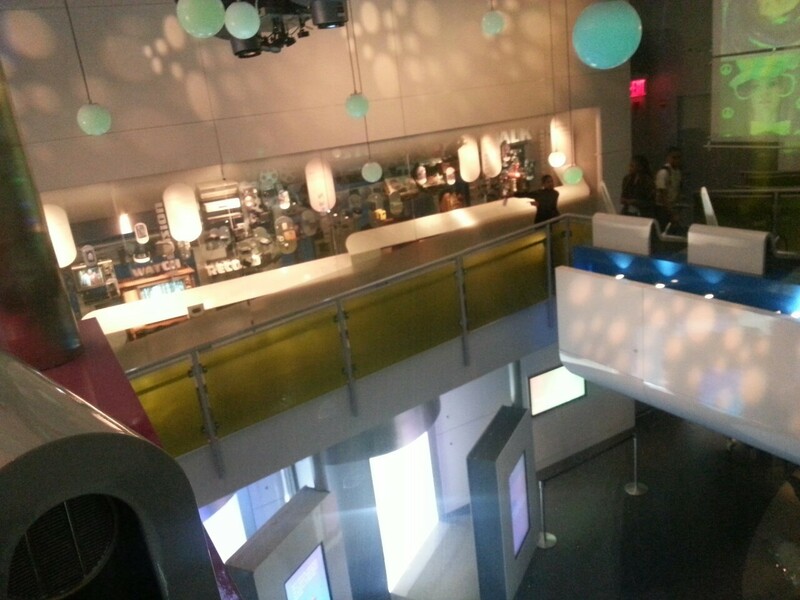 Located in mid-town Manhattan, this lab teaches people about the different types of technology and how they really work. When my friend Alicia and I first arrived to the lab, we were first told to “Log in.” In order to log in, you were giving a card which you had to scan on a computer and the computer then takes a picture of you and asks you questions such as your name and it allows you to basically personalize your own profile. After completing this process, your card is now officially programmed so that you were able to be involved in the different activities that the museum had to offer. Before conducting any activity in the museum, you had to first scan the card. After programming our card, we then set off into the museum to see what it was all about! One of the activities which we did was “Programming a Robot.” For this, we were assigned a specific robot and we were giving an opportunity to program the robot however we wanted too. We were given different options of how the robot could react to certain issues and we chose how we wanted it to act. It shows the different ways in which robots think, act, and sense different things around them. This was a fun activity because I learned more about how specific a human has to program certain technologies so that it responds the way we want it to. Our topic which we talked about was on Polar Bears. We had to talk about how because of global warming, polar bears are predicted to become extinct in the next few years. We then had a portion which we had to pretend like one of the reporters was actually on site at one of the places and talking about how bad the polar bears lives are becoming. We then “went back to the studio” where we summed up our reports and talked about the different ways in which the viewers can help protect the environment which will eventually help the polar bears. This felt so amazing. I was able to better understand what exactly goes on in a recording studio. 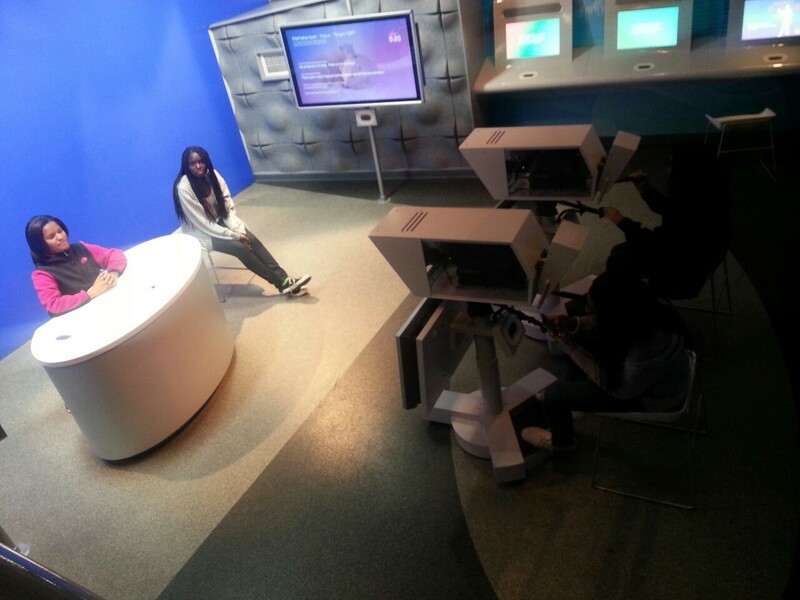 I now have a better understanding of what it feels like being on camera in the studio. The hardest part for me honestly was reading the lines off of the screen and looking into the cameras. It was even harder because I had no clue of what topic I was going to be talking about and what I had to say. I wish I was able to redo this activity again because it was so much fun. (Too bad for the long line and wait!) This is a great museum and I definitely recommend it to anyone who’s interested in any type of technology. I wish that my video of the final results from the recording was able to upload onto the website. The file is unfortunately too large to upload. But I do hope to visit it again soon!